There are few hints given along the way of the canyon or the river contained at the end of the road. The roar of the falls is best witnessed in the Spring, just like Captain Lewis experienced. The canyon walls show the arduous task of portaging around the Falls that laid ahead of the Expedition. 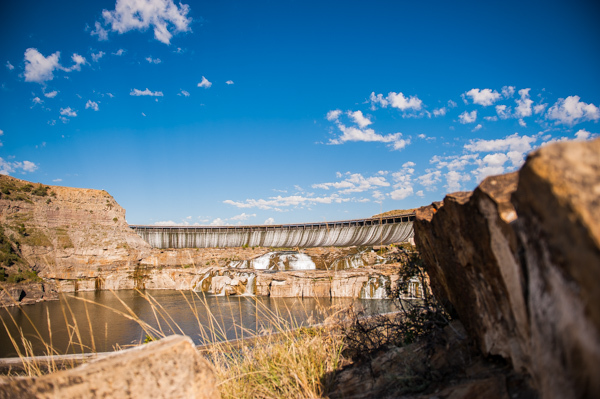 Although Ryan Dam, constructed in 1915, controls the flow of the water over the falls, the enormity of The Great Falls is still impressive. 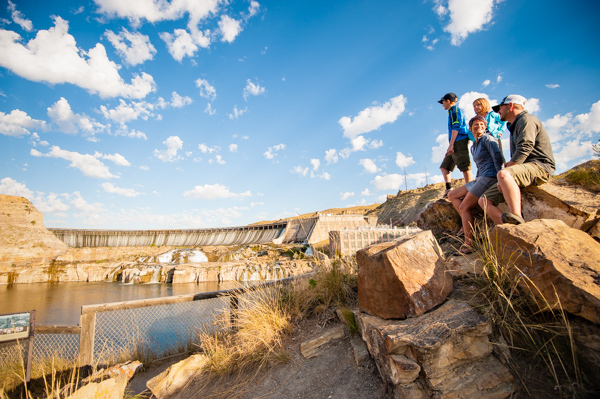 The dam follows the natural break in the landscape that created the falls and was more than 80 feet [24 meters] high when first seen by Captain Lewis. 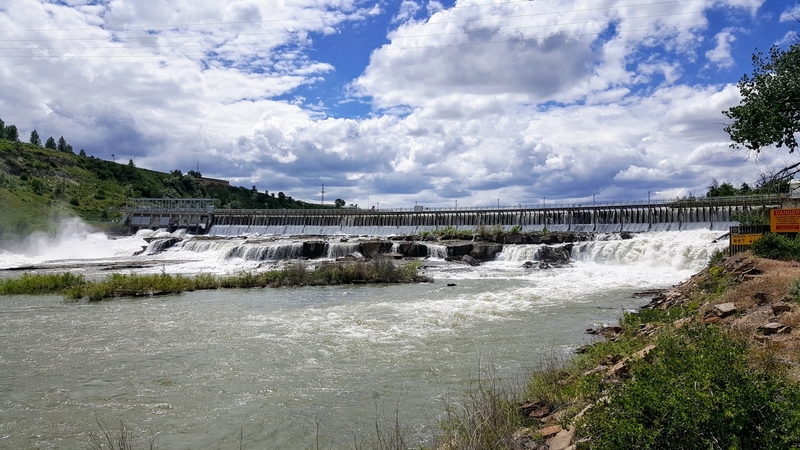 Today, The Great Falls stand 148 feet [45 meters] due to the dam. Upstream 7 miles [11 km] from the Great Falls, Crooked Falls flows over an irregular shelf, 19 feet [6 meters] high and 300 yards [274 meters] across. Untouched by a dam, and inaccessible by vehicle, Crooked Falls can be witnessed today just as the Expedition saw it in 1805. A half mile [.8 km] upstream from Rainbow Falls, the smaller, 6 foot [2 meters] Colter Falls could be found. Set behind Rainbow Dam, these falls are now submerged. The old town site of Morony still stands and offers a glimpse into where present-day Great Falls almost was. 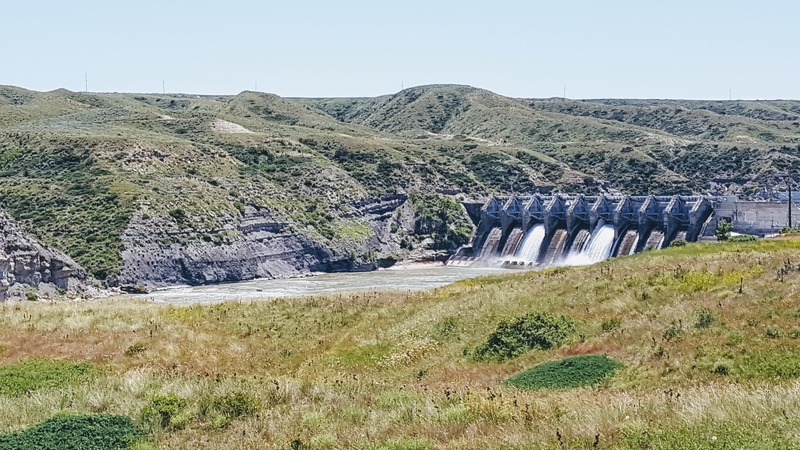 Below Morony Dam is great fishing and a natural spring, Sulphur Springs, accessible by foot or bicycle on River’s Edge Trail. 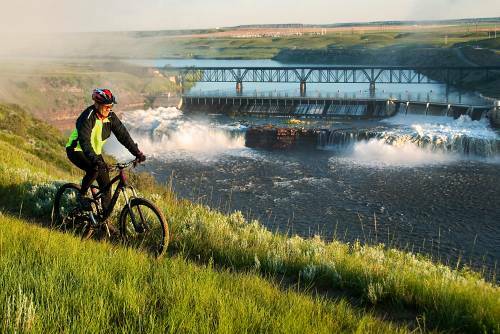 Cochrane is the newest dam, constructed in 1958, between The Great Falls and Crooked Falls and is only seen along the River’s Edge Trail while walking or biking. *addresses are approximate, but entering these into your GPS will get you to the general area of each overlook.